For the most part, Warpaint’s followup to 2010’s The Fool lacks the sultry hypnotism of their debut, instead opting for a more direct approach; at least, that’s how things seem at first. Much has been written on how Warpaint would focus on drummer Stella Mozwaga’s ground-floor involvement, representing the Los Angeles foursome in the purest sense (hence the eponymous namesake). From the get-go, the spotlight shines brightly on Mozwaga, kicking off with “Intro”- a nearly two-minute percussive showcase surrounded by layers of groovy, ambient feedback. It’s a nifty mission statement as to what lies ahead; however, it it isn’t long before we’re once again mired in Warpaint’s tradmark haze of slithery momentum and elegantly jarring time signatures. Produced by Flood on Rough Trade Records and mixed mostly by the legendary Nigel Godrich, Warpaint’s first four tracks are so mysterious and exciting- highlighted by single, the Blonde Redhead-ish, “Love is to Die”- that it’s initially frustrating when the pace threatens to circle itself. However, a languid midsection is buoyed by “Disco//Very”, an LCD Soundsystem by way of Alice Glass-type banger, a track so damn enjoyable that it manages to prop up the album's second half while simultaneously emphasizing it’s flaws. 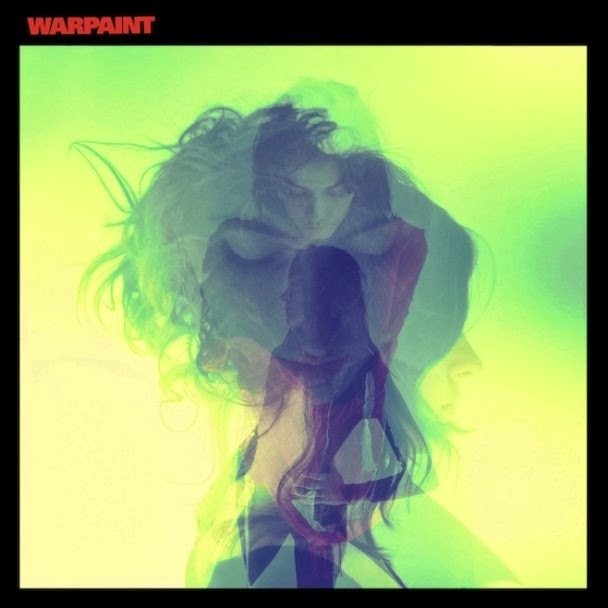 These missteps are further clarified when more closely evaluating Warpaint's predecessor. With The Fool, the band cast no illusions about the distance they kept from the listener; their debut was an ethereal siren song of cemetery foreplay. Warpaint, on the other hand, is an album with an identity crisis- it wants to embrace, but only at arm’s length. And while, on paper, this may sound like an intriguing concept, the ambition of Warpaint’s execution can occasionally exceed it’s grasp. The result is an equally fascinating and frustrating album that struggles to overcome a tendency to mute it’s most powerful moments.